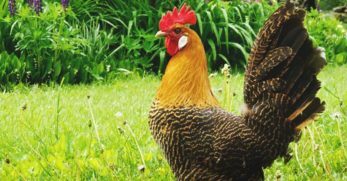 The Plymouth Rock chicken is an exceptionally friendly bird that will make for the perfect barnyard pet with exceptional laying qualities. These birds are arguably one of the most popular breeds in the United States and other parts of the world. In addition to being excellent layers, Plymouth Rock chickens make for decent meat birds. D.A. 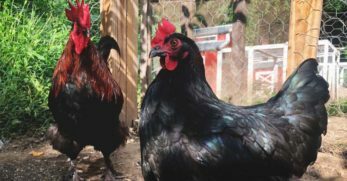 Upham crossed Black Java hens with a barred rooster. After the initial generations, the offspring were bred for barring and legs without feathers. Modern-day Plymouth Rocks are thought to have derived from this cross. Plymouth Rocks were accepted into the Standard of Perfection with the American Poultry Association as of 1874. 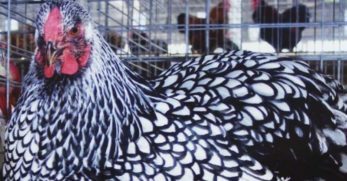 The original color variety accepted into the Standard of Perfection was the Barred Rocks, though other color varieties soon followed. Due to their many positive qualities, Plymouth Rocks were the single most widespread breed in the United States up until the early 1940s. 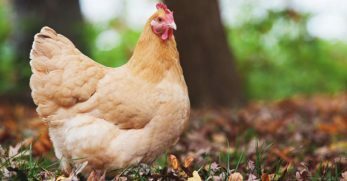 At this point, large-scale chicken farms were introduced and caused the downfall of backyard chicken flocks. Today Barred, Blue, Buff, Columbian, Partridge, Silver-penciled and White Plymouth Rocks have been accepted into the Standard of Perfection with the American Poultry Association. 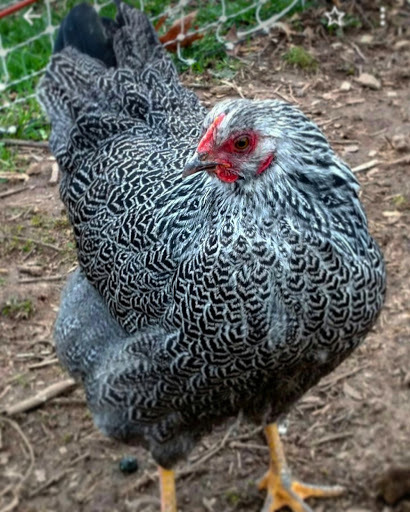 The Barred Plymouth Rock is very popular and noticeable because of the grey rocklike pattern in their feathers. 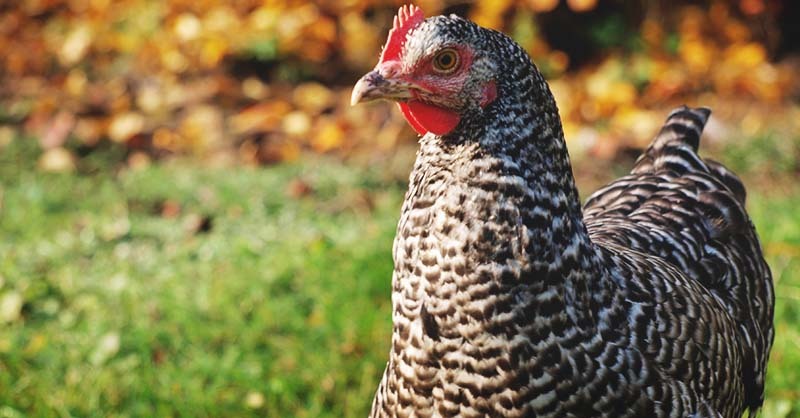 They are often referred to as Barred Rocks. 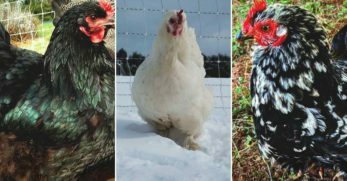 With such an interesting history, so many positive traits and the beautiful color variation, this is an appealing breed to add to your flock. 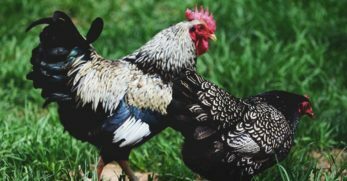 The Plymouth Rock chicken breed is an averagely sized breed, with roosters weighing in at up to 7.5 pounds and hens weighing up to 6.5 pounds. Previously it used to be a larger breed, but Plymouth Rocks have been bred to be more of an egg production breed than meat production. Customers of Meyer Hatchery have voted Barred Rocks to be the friendliest birds around! 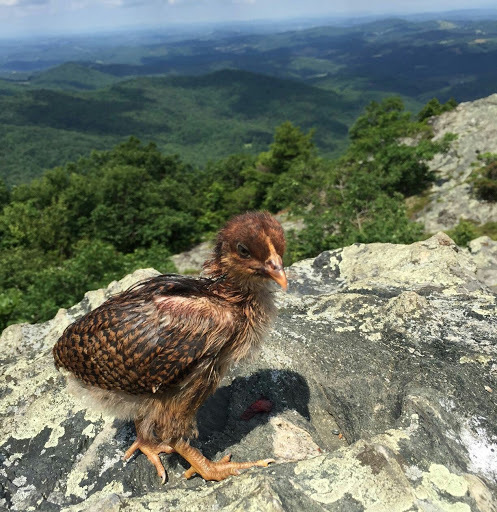 These are some of the sweetest and curious birds you’ll add to your flock. 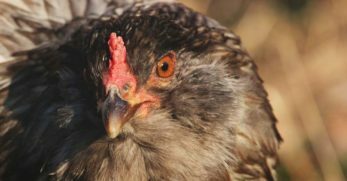 Originally hens had a powerful tendency to go broody, but newer strains have had these traits bred out of them. 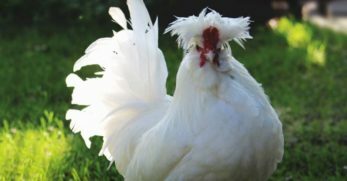 Many chicken keepers have found Plymouth Rock roosters to be protective of their hens, but respectful to people. Plymouth Rocks have excellent egg production, sometimes laying up to 6 eggs per week. 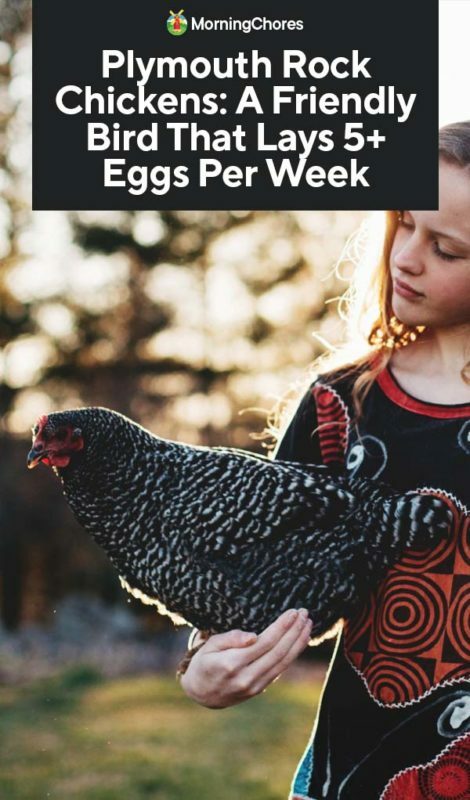 It is very rare to find a hen that will lay much more than this rate because laying an egg is basically like giving birth every day and who wants to do that every day? 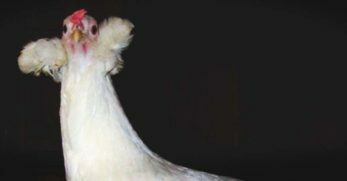 When Plymouth Rocks were bred, the average consumer was after a breed that could double as both meat and egg production. 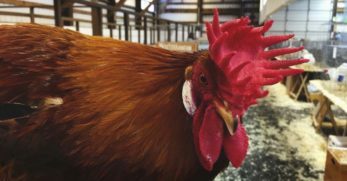 Plymouth Rocks fit the bill perfectly, with hens often weighing about 7.5 pounds while roosters about 9.5 pounds. These days it’s not very easy to find such large birds. 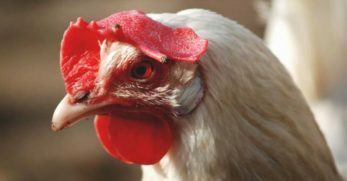 There are breeds bred more specifically for meat production, and Plymouth Rocks have taken more of an egg production category. Some breeders are still striving to maintain the quality of the original birds, and if you find these breeders, their birds will be rather large ones. Plymouth Rocks are one of the most low maintenance breeds you’ll raise. These birds do not require anything other than chick starter for young birds aged 0-12 weeks and then laying feed for the rest of their lives. Supplement extra protein during molts to ensure your birds grow strong new feathers. 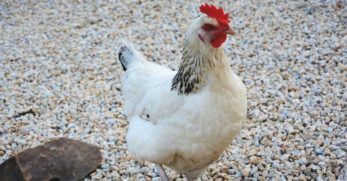 Since most Plymouth Rocks are small these days, they will not require more than the recommended square footage in the coop and run, (2-3 sq. ft. in the coop and 8-10 sq. ft. in the run). If you wanted to let your Plymouth Rocks free range, they are somewhat active birds and will do pretty well in a free range environment. Plymouth Rocks are very vigorous and hardy birds and do not suffer from any health conditions that every other bird doesn’t occasionally deal with. One thing to keep an eye out on with Plymouth Rocks is feather picking. Plymouth Rocks can tend to get too big a head and pick on their flock mates. Make sure everyone has plenty of space as well as feeder and waterer room, and you should have minimal problems. In general Plymouth Rocks are very low maintenance birds to have around and they do not require lots of extra attention. This makes them ideal for an easy to care for backyard flock. 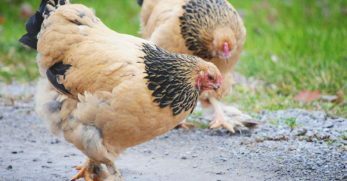 Cream Legbars make a nice alternative to Plymouth Rocks, as they have a very similar appearance to Barred Plymouth Rocks, as well as good egg production. This breed has similar size and characteristics. The two most significant differences you’ll find in Cream Legbars and Plymouth Rocks, are egg color and price. Instead of brown eggs, Cream Legbars will lay blue eggs. Since Cream Legbars are a significantly rarer breed than Plymouth Rocks, you will find them to be a bit pricier. 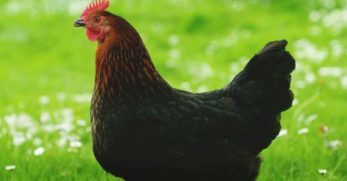 Orpingtons are similar to Plymouth Rocks since they are both very friendly breeds with good egg production. This breed comes in slightly different color variations than Plymouth Rocks, but I think you will find them to be an equally beautiful breed. Orpingtons are a bit larger and fluffier than Plymouth Rocks. Orpingtons weigh a bit more, and their feathers are not as close and tight fitting as the Plymouth Rocks. I raised one very special Partridge Plymouth Rock named Rey; I called her my Rey of Sunshine. When little Rey was two weeks old, she managed to get herself in a pickle where she tore her skin very badly. I fought for her little life, and the little pullet pulled through. While she was recovering, I took her on more than one hike. She was a very popular little bird everywhere she went, happily perched on my shoulder. 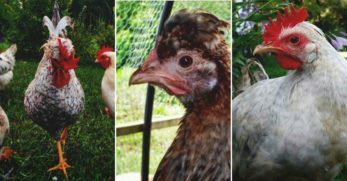 About six weeks later, Rey was fully healed, and I turned her back with her flock. A weasel preyed on the pen, and over 50% of her flockmates died. I found poor Rey in a crumpled heap clinging to life by a thread. The weasel had sucked her blood, and she was in shock due to severe blood loss. I spent five days tediously nursing her back to health feeding her through a syringe and keeping her warm on a heating pad. After those long five days, Rey could eat and drink on her own again. It was a long road to recovery, but Rey pulled through once again. 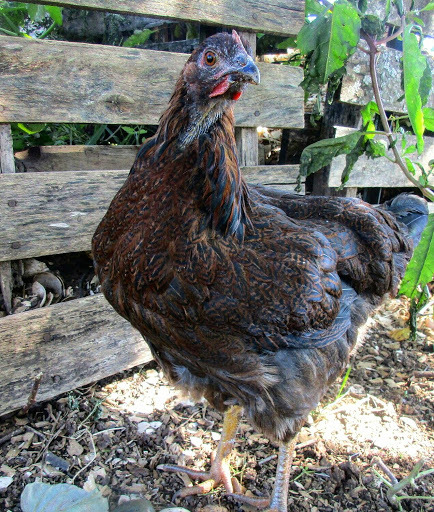 This little hen lives happily on my farm, and to this day her story is my very favorite. 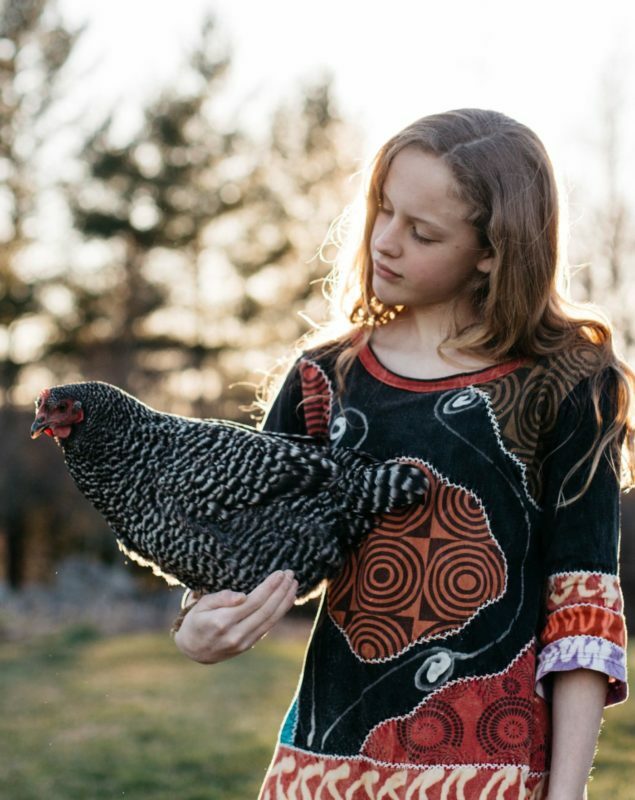 I don’t think you’ll regret adding Plymouth Rock chickens to your flock. 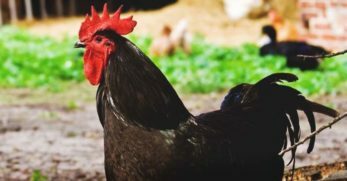 Their sweet personality paired with exceptional egg laying capabilities makes for a very compatible breed for many backyard chicken keepers and their flocks. Happy Chickening, from my coop to yours.